Showing 21–30 of 87,272 items. 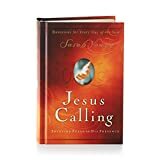 Written by Sarah Young, these inspirational messages are meant to be exerienced by the reader as though they are in Jesus' voice. Young has paired each day's reading with scriptural references for further study. Themes addressed include thankfulness, trust, and strength.